Joseph Kelly Archives - Joelle Delbourgo Associates, Inc. So pleased that the History Book Club has selected Joseph Kelly’s America’s Longest Siege: Charleston, Slavery and the Slow March Toward Civil War for their Winter Catalog. Civil War buffs shouldn’t miss this fascinating book. I fell into this book sideways. A long time ago, I wrote a short article for the Encyclopedia of the Irish in America, and I was hooked by the strange life of John England, the first Catholic bishop of Charleston. Raised in Cork, Ireland, this prickly champion of Catholic emancipation stuck like a thorn in the side of the British Empire. A nervous Catholic hierarchy more or less exiled him to the missionary church at the southern extreme of the United States. He arrived on the Cooper River pier armed with a hatred of racism and a devotion to civil liberties. He opened a school for black children. He went to Haiti to negotiate a treaty between that black republic and the Vatican. And yet, in his dying months he wrote a series of letters attempting to prove that Christianity condoned slavery. How could such a champion of human rights end up apologizing for this crime against humanity? Here, I thought, was the stuff of tragedy, and I was determined to find out the whole story. But this was a different kind of writing for someone whose trade is literary criticism. I’d written several articles and a book on Irish literature–James Joyce in particular–but no historical narrative. Somewhat naively, I wrote a hundred pages on the life of Bishop England. The thread of causes took me back further, and I wrote two hundred pages on the life of Henry Laurens, the second president of the Continental Congress. I knew these “chapters” were far too long, but I was lost in the details, seduced by the drama of these lives, and I couldn’t see the real story, the important story caked in the dirt of all of this material. I found an agent at Joëlle Delbourgo Associates who believed in what I was doing. Molly Lyons helped me transform my ideas into a real proposal, which got us a lead at Overlook Press. The editors there, first Rob Crawford and then Dan Crissman, coached me further, until that story emerged–a multi-generational tale of rebellions, torture, Machiavellian twists, duels, speeches from the Senate floor, and bloody battles. America’s Longest Siege tells the story of slavery as it evolved in the American South. It comes to a conclusion that common wisdom and most historians dispute: slavery not only should have but would have withered away in the new republic, if not for the very hard work of a surprisingly few, greedy people from Charleston. That story is as current today as it ever was: even now we’re debating nullification; even today we’re torturing prisoners; the wagon wheels of today’s South still groan in the grooves of old Carolina roads. There’s hardly a trace of literary criticism in this book–a dozen pages on the eminent novelist, William Gilmore Simms, but no more. Yet I feel that I’ve been training to write this book ever since I set foot in graduate school. This is a story about an idea, just about the worst idea ever promoted in America. And ideas have to manifest in words–the stuff of literary critics–and the words have to come from the mouths of individual people. Though I had to throw away most of those biographical pages, they were not wasted. They taught me to write biography, and my book is first and foremost about people, those who invented and promoted the “positive good theory” of slavery, those who opposed it, and those who wanted to oppose it but failed. What fascinated me about these people–people like Bishop John England–was their moral stories. I hope that the lives I write about inhabit the imaginations of my readers as vitally as any character in fiction. Whether he’s writing about John Smith or John C. Calhoun, about the Union’s siege of Charleston in the Civil War or the shipwrecked birth of America, Joseph Kelly looks for the human story, fully painting the figures who make history happen. Always he aims to write about complex ideas and history in lively, readable prose. His interests range from the obscenity trial of James Joyce’s Ulysses to U. S. Southern history. Currently, he’s tackling the maroons, mutineers, and pirates who pioneered the idea of America. 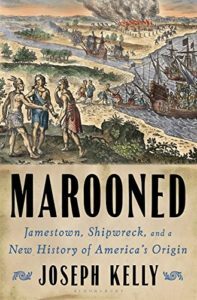 His Marooned: Shipwreck, Jamestown, and the Epic Story of the First Americans was published by Bloomsbury Press in Fall 2018. 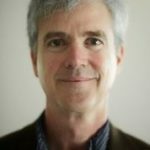 In addition to several critical and biographical articles on James Joyce, Kelly’s first book, Our Joyce: From Outcast to Icon, uses extensive archival research to uncover the manipulations of this monumental figure of modern literature by liberals and conservatives in the American culture wars. His popular introductory books on short stories, poems, essays, and plays, W. W. Norton & Company’s Seagull Readers, have sold well over 100,000 copies and are entering their 4th edition. His latest offering from Overlook Press, America’s Longest Siege: Charleston, Slavery, and the Slow March toward Civil War, “brings a literary sensibility to the craft of history writing,” according to the eminent Lincoln scholar, Orville Vernon Burton. Kelly earned his Ph. D. in literature with a minor in history from the University of Texas at Austin in 1992. Since then, he has been teaching a variety of courses at the College of Charleston, most recently Irish nationalism and culture, urban geography, and composition. 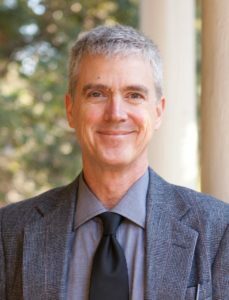 He is the Co-Director of the College of Charleston’s Commission on Diversity, a Faculty Administrative Fellow in the President’s office, and a recent recipient of the Charleston’s Distinguished Service Award and Leo I. Higden Outstanding Leadership Award.